The two female entrepreneurs realized that even when they were creating a new story, they would instinctively envision the main character as a boy. Something clearly needed to change. Imagine a children’s book raising more than 1.2 million dollars from the general public, capturing the imagination of nearly 20,000 backers in more than 70 different countries. Well it exists, and it is said to be the most funded original book ever in the history of crowdfunding. Good Night Stories for Rebel Girls not only crushed its crowdfunding campaign; it shattered worldwide crowdfunding records. The success so far is a tribute to the passion and preparation of Elena Favilli and Francesca Cavallo, co-founders of Timbuktu Labs, a company that develops educational apps, games, and magazines for children. Timbuktu Labs created Good Night Stories for Rebel Girls and worked for an entire year on the crowdfunding campaign before finally launching it to the public. 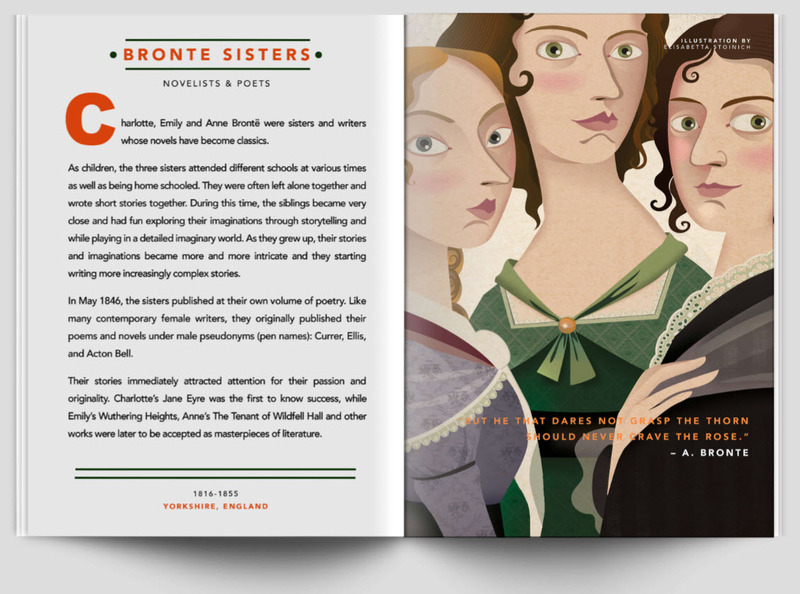 Good Night Stories for Rebel Girls will be the company’s seventh book. It features 100 stories written by Elena and Francesca about the lives of 100 extraordinary women, from Elizabeth I to Serena Williams. 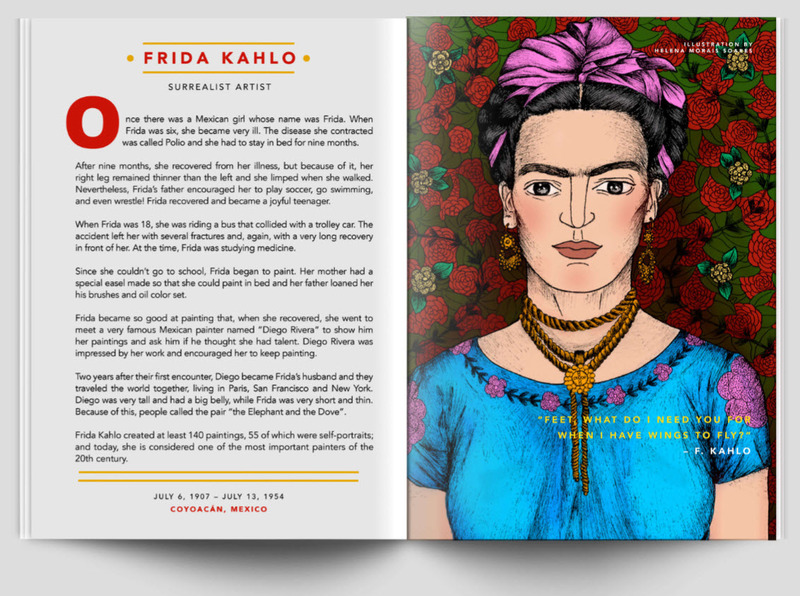 The book also contains original artwork from 60 different female artists. The stories are truly intended to reinvent the fairy tale for modern day inspiration of our youth, both girls and boys. The path to their popularity, however, has not been the quintessential yellow brick road. Francesca Cavallo and Elena Favilli are both from Italy. Francesca studied in Milan at the Academy of Dramatic Art where she graduated as a Theater Director. She and Elena met through a common friend when Elena came to see one of Francesca’s plays. When the two women started working on Timbuktu, Francesca was a director, playwright, and producer who had founded her own theater company. When Elena came up with the idea of creating an iPad magazine, they decided to become business partners. Their first product was Timbuktu Magazine which became the first iPad magazine for children. The publication won awards for its design and was named “2013 Best Children’s Magazine of the Year” at the London Digital Magazines Awards. They also came having done a tremendous amount of homework. It paid off: incubator 500 Startups became their first investor, and during the incubation period, they raised more than $600,000. Not surprisingly, the desire to help the next generation avoid the same problems would eventually lead to the creation of Good Night Stories For Rebel Girls. Before that happened, however, Francesca and Elena’s personal experience with tech trolls was about to hit an all-time high. Elena was asked by The Guardian to write an op-ed about gender issues in Silicon Valley. So she did; it was called, Silicon valley is more Flintstones than Jetsons when it comes to women. The article made a lot of sense. It also unleashed an outpouring of invective direct from the dark underbelly of the beast. Some of the trolls, as they often do, took to Twitter, finding Elena’s account and peppering it with insults and abuse—one even posted a death threat. The violence and hatred of the trolls’ responses confirmed something the two founders already suspected: many people falsely believe gender discrimination is a thing of the past. They began to look for books with strong female protagonists, hoping to find more than they remembered from the 80’s literature of their youths. They didn’t. Even their favorite movie, “Finding Nemo” had only two female characters, one of whom (the mother) did not make it past the first few minutes of the movie before fading into the big blue beyond. As Francesca described it, “In the whole ocean, there are only two females, and one dies after two minutes. That expresses accurately what’s going on in children’s media, and the fact that we’re still raising kids with the mindset that males are the ones to behold and the females are the extras.” The two female entrepreneurs realized that even when they were creating a new story, they would instinctively envision the main character as a boy. Something clearly needed to change. Through the newsletter they requested feedback and provided examples of female leadership that people could share with their kids. In doing so, they established a strong emotional bond with the people who would go on to become their backers. The backers were already emotionally invested, and per Francesca, this “very close and authentic relationship” is what made the all difference. It was a difference that allowed them to become the most crowd-funded book in history. 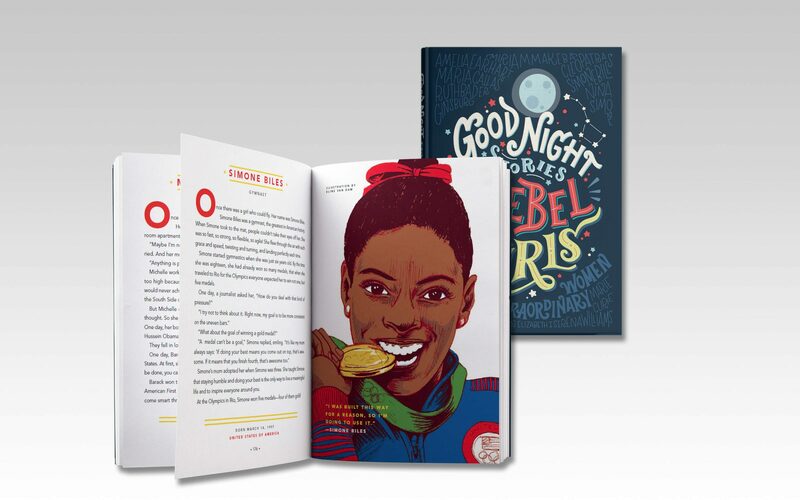 At the start of what one hopes will be, relative to the election run just passed, a kinder season of giving, I would consider Good Night Stories for Rebel Girls, with its beautifully illustrated and inspiring stories of extraordinary women, a great gift idea for any child of any gender. The only question is whether you file it under “Fairy Tales” or “Education”. Maybe both. When you read about success stories, the few that come along, you really do not read about one as good as this. Either the two founders got lucky, or they had a plan to follow and are doing just great at it. As someone else commented here, “Timing, perseverance, and ten years of trying will eventually make you look like an overnight success.” Much hard work over a long period of time! Insightful look into Francesca and Elena’s entrepreneurial journey. Thanks so much for your comment, Patricia. It is very much appreciated. I like the idea. I followed this campaign for a while and am impressed with how things are going for it. I am excited to get the book as well! They certainly ran a very impressive campaign! Well, this is certainly a success story if I have ever read one in terms of crowdfunding. Other than going viral, it seems that the two founders had a good plan, stuck to it and will be getting paid because of that. Nice work! They began planning a year in advance – preparation rocks! That really says a lot about the two as company owners. It will be interesting to see where they take the company in the near future. Francesca and Elena are amazing. It will be very interesting to see what the company does next.